Dealing with a skin disorder that has no cure requires patience. You need to find the right products and techniques on how to effectively manage it without enhancing its severity. Acne is one of the most prevalent skin disorders and it affects millions of people globally. This article offers an overview of acne and the best products you can use. 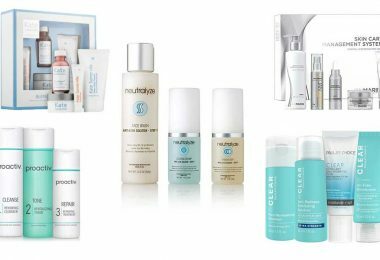 How to choose the best Acne Control Products? Where to Buy Anti-Acne Cream? This is a term that’s used to describe a range of skin problems ranging from red pimples, severe skin lesions to small white bumps. Acne symptoms vary depending on its severity and the underlying factors that led to its development. It can be caused by hormonal imbalance, environmental changes, pollution, and genetics among others. There is no doubt there are millions of anti-acne creams which are sold by different brands. For consumers, the availability of a wide array of products makes selection confusing and challenging. 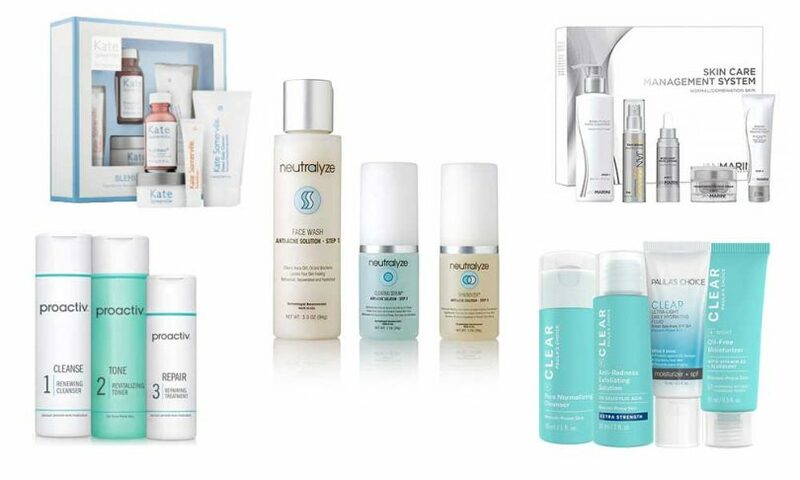 To ensure that you choose the best acne treatment, outlined below are the top 5 products. It’s a 90-day regimen that uses a 3-step system. Proactiv+ is suitable for all ages, genders, and skin types. All the three steps work in synergy to combat the severity or the development of acne, resulting in a clear skin that you deserve. Even though acne is one of the skin disorders that has no cure, Proactive+ helps to manage this condition. The dermatologist-tested treatment plan is formulated with benzoyl peroxide and other acne fighting ingredients that repair, renew, and revitalize the skin. This is an anti-acne cream that also helps to reduce the oiliness of the skin. It’s suitable for mild to moderate acne. 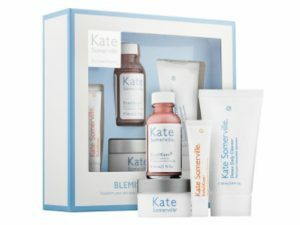 Kate Somerville Blemish Banisher Kit contains four products which rid the skin of existing blemishes and helps to reduce chances of future breakouts. The targeted topical treatment fights bacteria, deep cleanses problematic skin, remove impurities, and helps to control the production of sebum. This is an anti-acne cream kit that also protects the skin. The simple three-step kit contains salicylic acid which fights acne by removing dead skin cells, unclogging the pores, and controlling the production of sebum. Paula’s Choice is a kit that also helps to moisturize and skin, alleviating irritation and dryness. This face lotion can polish the skin and reduce the visibility of large pores. 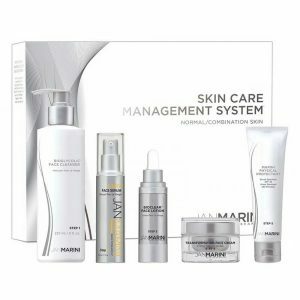 Jan Marini Bioglycolic Bioclear is an anti-acne product that is made using a potent combination of azelaic, salicylic, and glycolic acid. It’s one of the best anti-acne products in the market thanks to its quick dramatic effects. Bioclear makes the skin smoother, cleaner, and luminous. The versatile face lotion is suitable for all types of skin including those that are oily and sensitive. Neutralyze Moderate to Severe Acne Treatment Kit is clinically proven to be 95 percent effective. It removes acne symptoms such as zits, whiteheads, blackheads, blemishes, cysts, pimples, and scars. Note that this 30-day product kit can also be used to treat other skin disorders such as eczema, keratosis pilaris, rosacea, and dermatitis. Checking the ingredients: know what might feel good on your skin without causing irritation or allergic reactions. Talking to your dermatologist: this is actually the best way to determine the cause of your acne and what products may be effective for your skin. 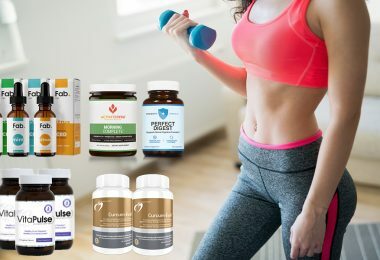 These products are available online through various brands. You can purchase them from their respective official websites as well as from Aliexpress, Target, Alibaba, Walmart, eBay, Macy’s, Amazon, and others. Acne is a skin disorder that requires patience during the treatment process. Since it has no cure, you need to take good care of your skin to prevent new breakouts and reduce the visibility of scars and blemishes. The above-mentioned product kits are some of the best in the market and they produce quick results.